The taciturn and reluctant hero. A cadet in SeeD, the special combat unit of the Balamb Garden Military Academy. His aloof and anti-social behaviour makes him appear selfish and lacking a sense of team unity. 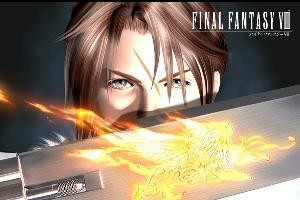 Squall dislikes having others involved in his affairs, and is best described as a lone wolf.